A “conserve” is a jam made with a mixture of fruit, usually including some citrus, and often nuts and raisins. It can be served as a topping over pound cake, ice cream, or along side meat such as pork or chicken, or just on its own. This delicious recipe comes from a Simply Recipes reader, Lou Grubaugh, who shares her favorite old family recipe for plum conserve. We didn’t quite have the 3 pounds of tart plums that the recipe called for, so I substituted a few not-quite-ripe pluots, and some perfectly ripe plums too. Naturally tart Santa Rosa plums work best for this conserve, but if you don’t have them, a combination of tart plums and pluots will do fine. Do you have a special plum recipe? See our post on plums and add your favorite to the comments of that post. 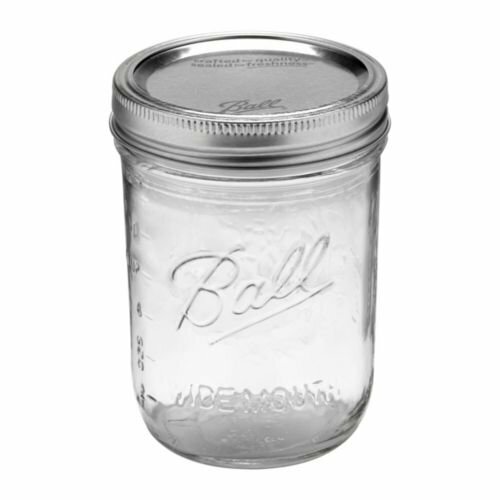 1 Prepare jars for canning: Prepare jars for canning in any of the following ways: You can run them through a short cycle on your dishwasher. 2 Put plums, sugar, orange, lemon, and raisins into a large 6 or 8-quart pan. Heat until boiling. Gently boil for 20 to 25 minutes, stirring frequently, or until the mixture starts to thicken slightly. If you want, use kitchen shears to cut some of the longer citrus rinds. 3 Carefully ladle the conserve into the jars, one at a time, leaving 1/4 inch head space at the top of the jars for a vacuum seal. Wipe the rim clean with a clean, wet paper towel. Place the lid on the jar, securing with a jar ring. Allow the jars to sit overnight. You will hear them make a popping sound as a vacuum seal is created. Hello! All photos and content are copyright protected. Please do not use our photos without prior written permission. If you wish to republish this recipe, please rewrite the recipe in your own unique words and link back to Plum Conserve Jam on Simply Recipes. Thank you! I love plums. But they are really expensive in Japan. If I have many plums, I could make a similar conserve and tried to put it in a bread recipe or just put on ice cream. Yum! Yipee, another recipe for all those gazillions of plums that come our way every year. We love them and eat them like crazy. But sometimes we suffer from plum build up, so it’s great to have another recipe. I made a similar conserve with fresh cranberries just after Thanksgiving last year and loved it. The thought of making one with tart plums such as pluots sounds splendid. Thanks to you and Lou for the idea.